Vegan baking can be as inventive as zucchini and black beans in desserts or as simple as making a substitution. If you’re working off an old family recipe, or want to experiment with creating your own recipes, here are 5 simple egg replacers that are sitting in your kitchen waiting to become dessert. Bananas work as a binder in baked goods and add a dose of potassium. They’re sweet, so you might want to use less sugar than the recipe calls for (or, if you’re me, forgo the extra tablespoon!). It might add some banana flavor to whatever you’re cooking, but with many baked goods, that just compounds the yum factor. Substitute half a banana for one egg. 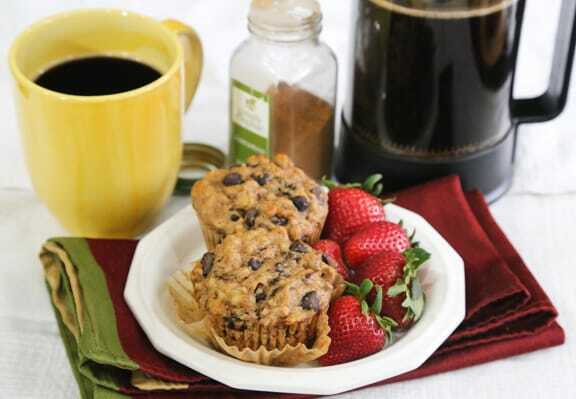 Try Laura Theodore’s Chocolate Chip Banana Muffins (shown at top). This will thicken your batter, so it’s best for cookies and puddings. For one egg, mix one tablespoon of cornstarch with two tablespoons of water. This combo is best for cakes, and won’t have a strong effect on the flavor as long as you also add a pinch of salt. For each “egg,” mix one tablespoon of water with one tablespoon of white vinegar in a separate bowl or glass. Then, stir in a teaspoon of baking powder. Now you’re ready to add the mixture to your batter. Like banana, applesauce doubles as a sweetener, but it has the advantage of being an easier flavor to mask. Opt for one-third of a cup of applesauce without baking powder (for a rich, dense cake or brownie) or one-fourth of a cup with a teaspoon of baking powder (for a light, fluffy dessert). 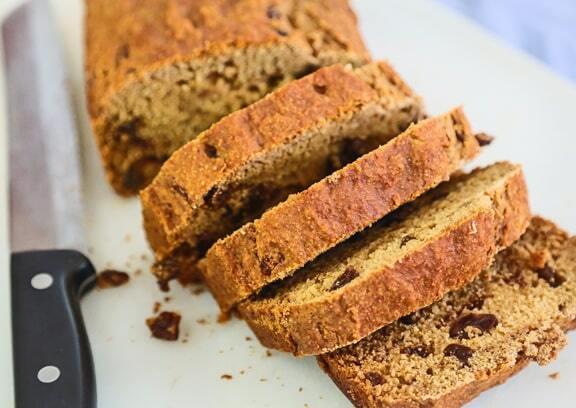 Try Quick Cinnamon-Raisin Bread (shown above). In recipes that call for only one egg, a quarter cup of vegetable oil should be fine. But for recipes that call for more than one, you can avoid a greasy baked good by whisking together two tablespoons of water, one teaspoon of vegetable oil, and two teaspoons of baking powder for each “egg” the recipe calls for. These is good source of article for Vegetarians. Protein alternatives.